The first step is to connect the App on your iPhone or iPad to the RoboRemote Server. 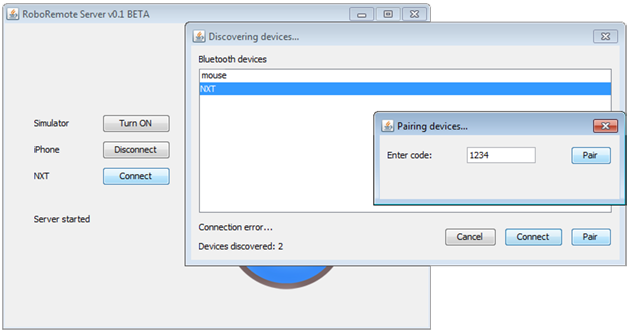 The RoboRemote Server is the bridge between your device and the NXT and can be downloaded here. To connect just use one of the methods described below. We recommend the manual IP and Port method as it works every time. It might be a little more intimidating, but do not worry, we have provided a small video tutorial. The automatic method is easier, but sometimes it might not work due to many reasons such as router settings, firewall, etc, one of the most common one being that the your router model just does not support Bonjour. You can, of course, try this one first, and if it fails, go for the manual connection. The new MAC server displays IP and Port so you do not have to go searching for it. Just type them in as in the video and you are all set. This way you don’t have to worry about IP and Port numbers, the Bonjour Protocol does everything for you. The following video tutorial uses as an example the PFremote App, but the steps are the same for all our apps that connect to the NXT. If the App and the Server keep searching and searching and never seem to connect, then there is surely a problem with Bonjour. You can go ahead and try the manual connection method with IP and Port. Yes, you can use any old and forgotten Android device (phone or tablet) instead of your computer to act as a bridge between your iPhone/iPad and the NXT. 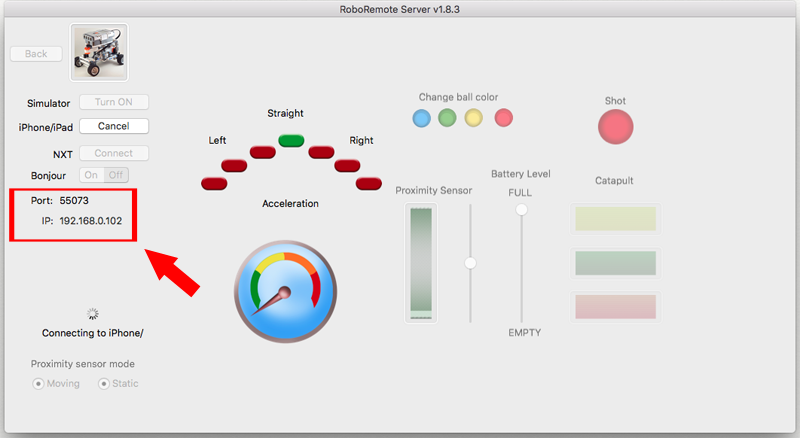 Just go ahead and download the RoboRemote Server here. Where is the Port number? No matter what Server version you are using (MAC, PC or Android), as soon as you click on the “Connect” button, the Server will generate a port number and display it next to the button. You can then copy it in the Port field from the RoboRemote App. The second and final step is to connect the RoboRemote Server to the NXT. Just follow along the tutorial. Now setup the same code on the NXT and press the orange enter button. The pairing process should now be complete. If you have any problems during pairing visit our troubleshooting section found on the bottom of this page. 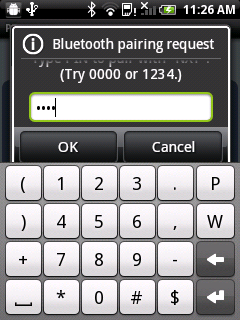 The Android device will now promt for the Pairing request code. 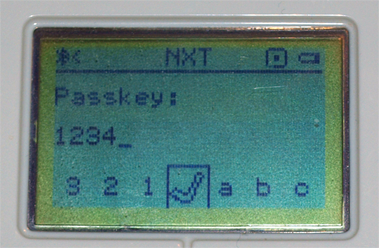 Enter the same code as on the NXT and the device should now connect to the NXT. Feel free to contact us, for any questions that you have, and we will get back to you as soon as possible.